I just read about Sebastian Quintero’s data analyses on start-ups on his web site Towards Data Science. Thanks Martin H. 🙂 I was really fascinated about his original way of looking at them, their failure rate, the valuation prediction, their runway between rounds, and his Capital Concentration Index or Investor Cluster Score. You should read them. 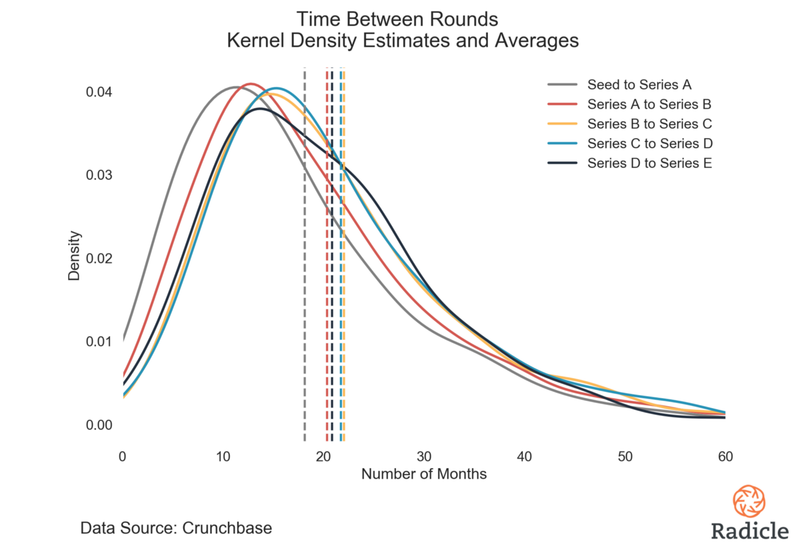 How much runway should you target between financing rounds? 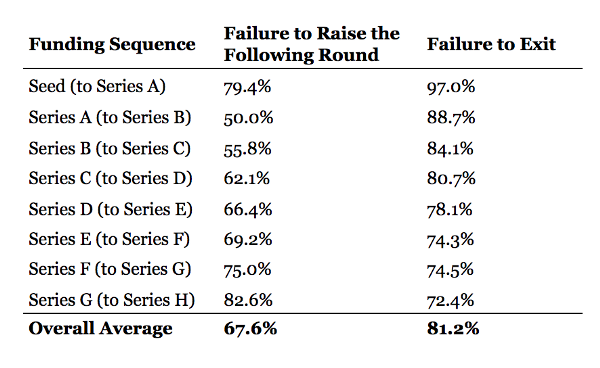 Where c is the percentage capital share held by the i-th startup, and N is the total number of startups in the defined set. In general, the CCI approaches zero when a sector consists of a large number of startups with relatively equal levels of capital, and reaches a maximum of 10,000 when a sector’s total invested capital is consolidated in a single company. The CCI increases both as the number of startups in the sector decreases and as the disparity in capital traction between those startups increases. This entry was posted in Start-up data, Venture Capital and tagged Failure, Venture Capital on March 13, 2019 by Hervé Lebret. This is a research work I did recently and after trying very shortly to publish it in academic papers, I stopped trying. Maybe it is not good enough. Maybe the research world and I do not fit! 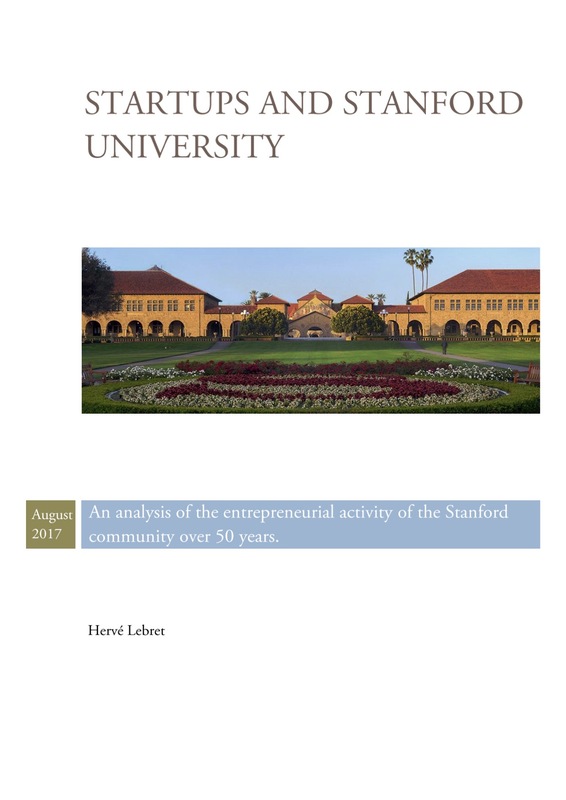 It is the result of two series of research I have done for years, one about Stanford-related spin-offs and another about equity in start-ups. I encourage you to read it if the field is of interest for you or just have a look at the tables below which I extracted from this 5-page short document. 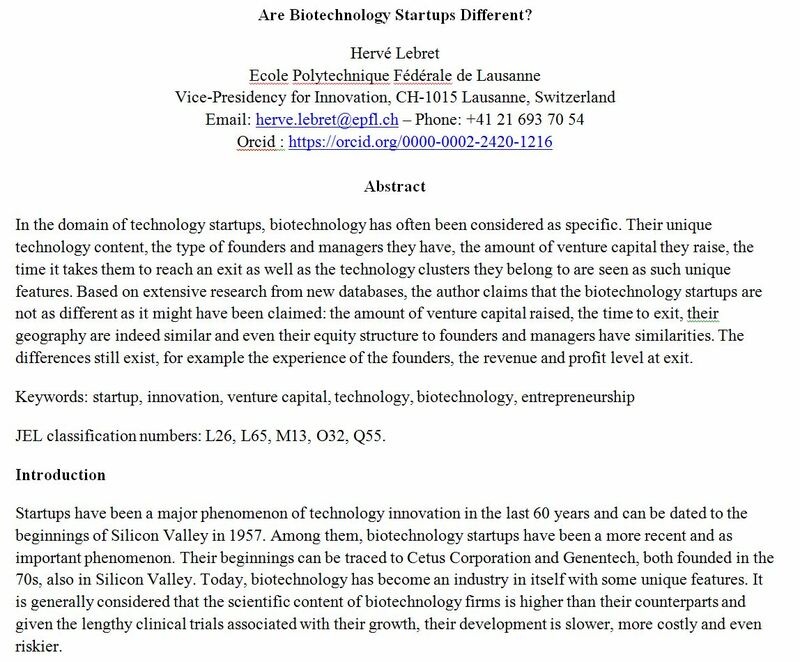 This entry was posted in Start-up data and tagged Biotech, Venture Capital on April 13, 2018 by Hervé Lebret. In the recent years, there had been regular filings in the biotech field, but IT had suffered. then Dropbox and Spotify filed and successfully went public. This probably gave confidence to “unicorns” and many have filed recently such as Smartsheet, DocuSign, Zuora. Carbon Black is the latest one with an interesting history. here is its S-1 filing and below my computed cap. table. Carbon Black was founded in 2002, has raised close to $200M since inception (not counting the money raised by 4 startups is has acquired, Confer Technologies, Objective Logistics & VisiTrend). It has a royal list of VCs, including Kleiner Perkins, Sequoia, Highland, Atlas or lesser know funds such as .406 or Accomplice. I do not know who the founders were, but I could get the name of Todd Brennan who has left in 2008. Who else, help me! Finally the company is based close to Boston, not in Silicon Valley… This is just the latest of my compilations, that you may find in a previous post Equity in Startups. This entry was posted in Start-up data and tagged Equity, Unicorn, Venture Capital on April 11, 2018 by Hervé Lebret. This entry was posted in Venture Capital and tagged Venture Capital on October 31, 2017 by Hervé Lebret. 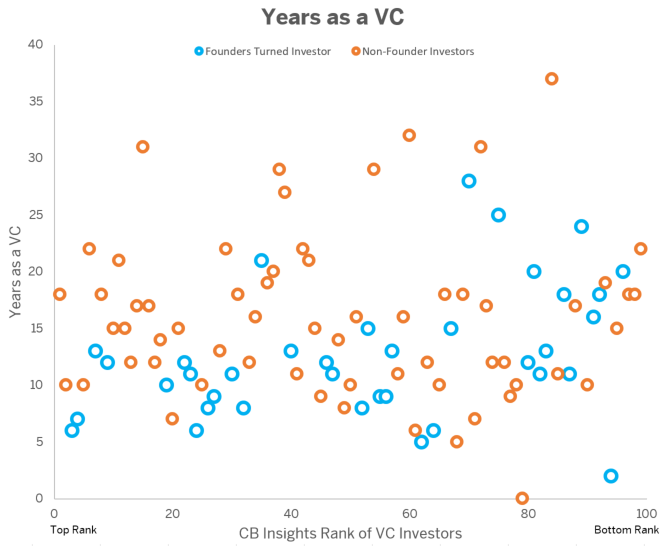 Do Ex-Startup Founders Make The Best Venture Capitalists? Interesting question as I have often claimed that there was a difference between US and European venture capitalist (VC), which had been also illustrated in the past by Tim Cruttenden (see below). However interesting, I would have preferred a different analysis: how many had a direct experience in technology firms, whether in product / technology development or on the business sides such as sales or marketing compared to teh ones who were “only” consultants or bankers. This would be highly important as the value you bring t the board level may be entirely different. Look at what Tim Cruttenden explained in 2006. This entry was posted in Venture Capital and tagged Venture Capital on October 29, 2017 by Hervé Lebret. This is the third short report I publish this summer about startups. 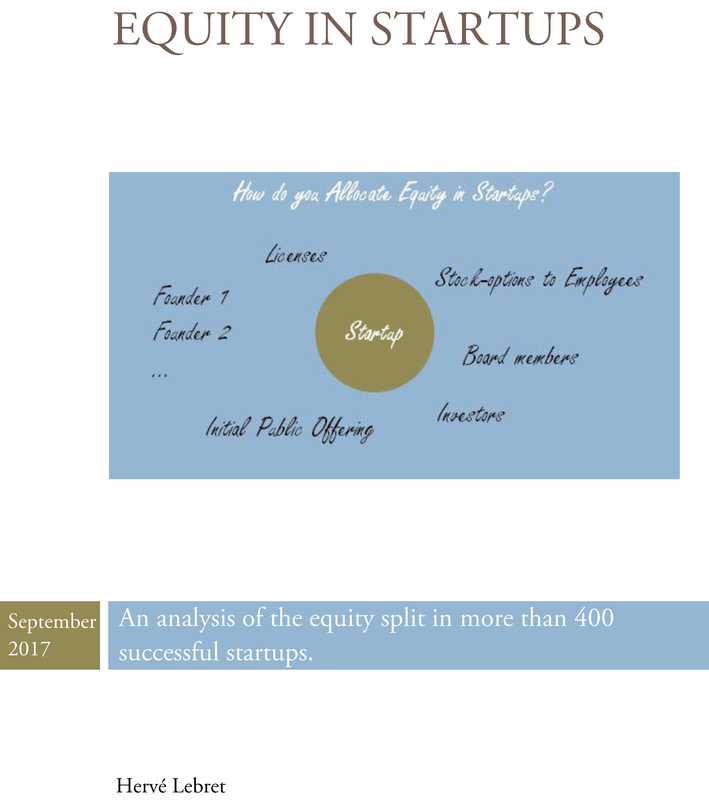 After Startups at EPFL and Stanford and Startups, here is (I hope) an interesting analysis about how equity was allocated in 400 startups, entitled Equity in Startups (in pdf). Here is the description of the report on its back page: Startups have become in less than 50 years a major component of innovation and economic growth. An important feature of the startup phenomenon has been the wealth created through equity in startups to all stakeholders. These include the startup founders, the investors, and also the employees through the stock-option mechanism and universities through licenses of intellectual property. In the employee group, the allocation to important managers like the chief executive, vice-presidents and other officers, and independent board members is also analyzed. This report analyzes how equity was allocated in more than 400 startups, most of which had filed for an initial public offering. The author has the ambition of informing a general audience about best practice in equity split, in particular in Silicon Valley, the central place for startup innovation. I will let you (hopefully) discover this rather short report which could have been much longer if I had decided to analyze the data in detail. I will just right here my main results. 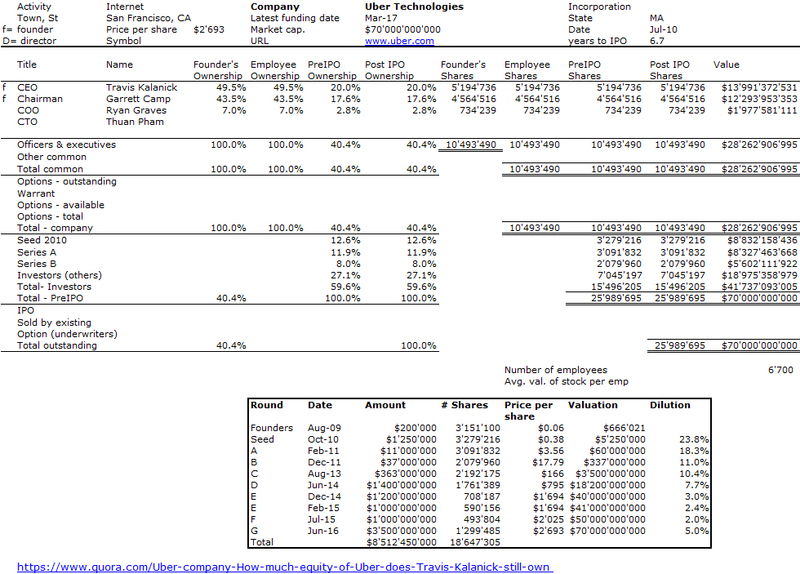 A simple look at data shows that at IPO (or exit) founders keep around 10% of their company whereas investors own 50% and employees 20%. The remaining 20% goes to the general public at IPO . Of course, this is a little too simplistic. For examples founders keep more in Software and Internet startups and less in Biotech and Medtech. There could be a lot more to add but I let the reader focus on what possibly interests her. 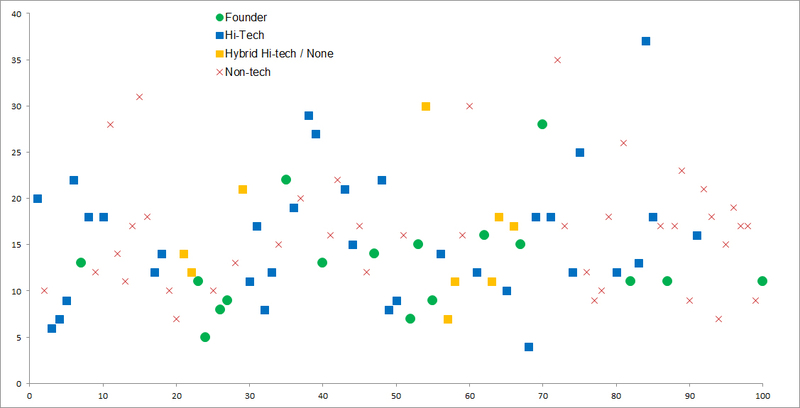 – The average age of founders is 38 but higher in Biotech and Medtech and lower in Software and Internet. – It takes on average 8 years to go public after raising a total of $138M, including a first round of $8M in VC money. – On average, companies have about $110M in sales and are slightly profitable, with 500 employees at IPO time. But again there are differences between Software and Internet startups which have more sales and employees and positive income and Biotech and Medtech startups which have much lower revenue and headcount and negative profit. 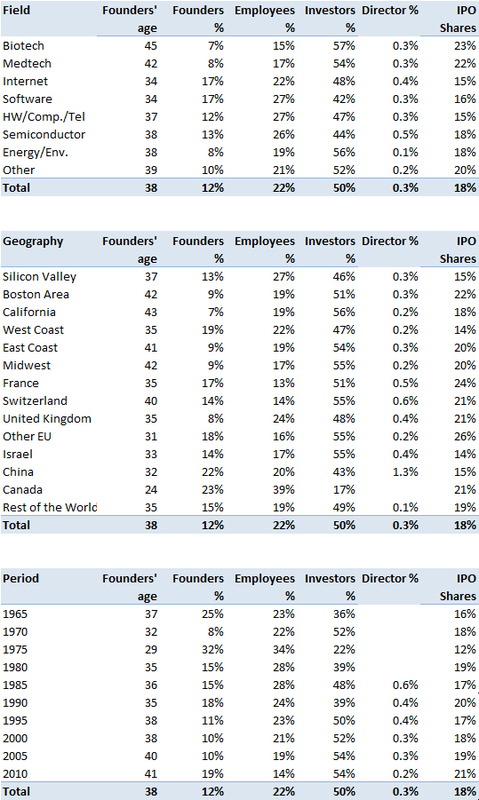 – CEOs are non-founders in about 36% of the cases, more in biotech (42%) and Medtech (35%) than Internet (31%) and Software (25%), more in Boston (48%) than Silicon Valley (43%) . – The Vice-Presidents and Chief Officers own about 1% and the Chief Financial around 0.6%. 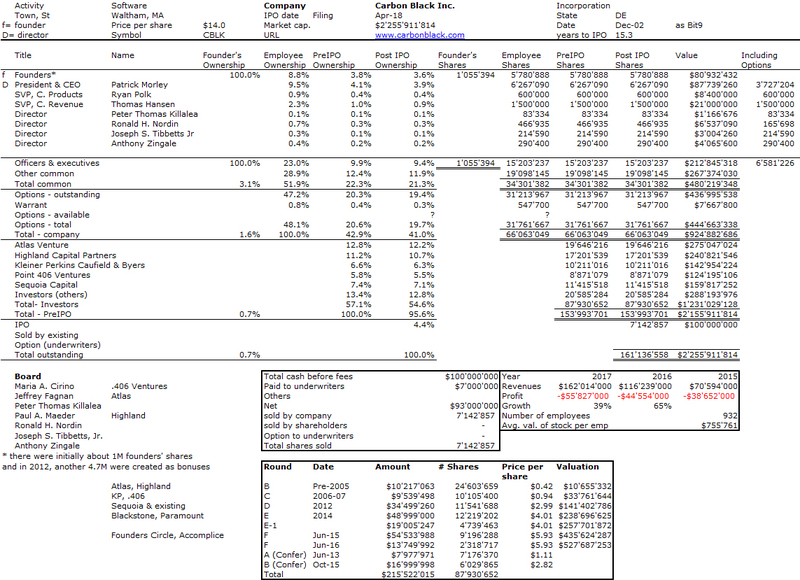 – Finally, an independent director gets about 0.3% of the equity at IPO. If we consider again that the founders are diluted by a factor 8x from their initial 100% to about 12%, it means a director should have about 2-3% if he joins at inception. – In the past universities owned about 10% of a startup at creation in exchange for an exclusive license on IP. More recently, this has been more 5% non-diluted until significant funding (Series A round). This entry was posted in Start-up data and tagged Equity, Founder, Venture Capital on September 1, 2017 by Hervé Lebret. Stanford is in the top2 universities with MIT for high-tech entrepreneurship. There is not much doubt about such statement. For the last ten years, I have been studying the impact of this university which has grown in the middle of Silicon Valley. After one book and a few research papers, here is a kind of concluding work. 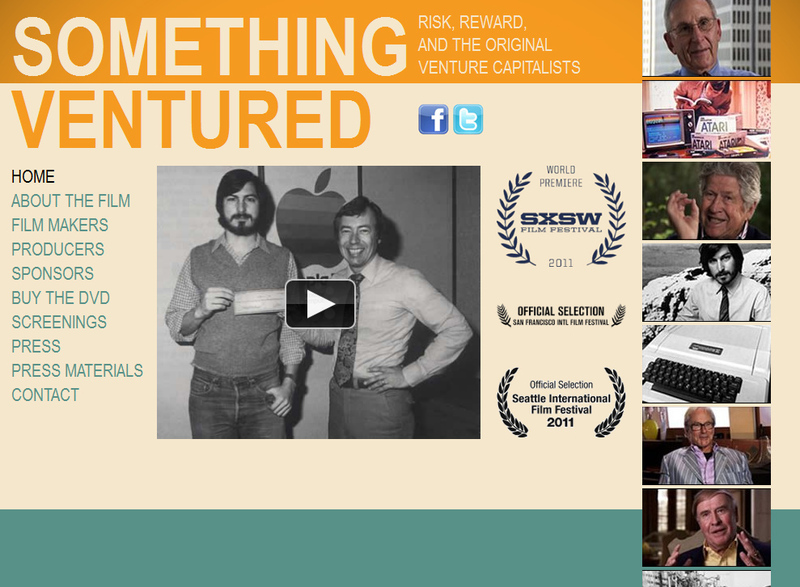 Katharine Ku, head of OTL has mentioned another report when I mentioned mine to her: Stanford’s Univenture Secret Sauce – Embracing Risk, Ambiguity and Collaboration. Another evidence of the entrepreneurial culture of that unique place! I must thank Ms Ku here again for the data I could access thanks to her! This entry was posted in Start-up data and tagged Founder, Serial Entrepreneur, Stanford, Start-up, Venture Capital on August 27, 2017 by Hervé Lebret. 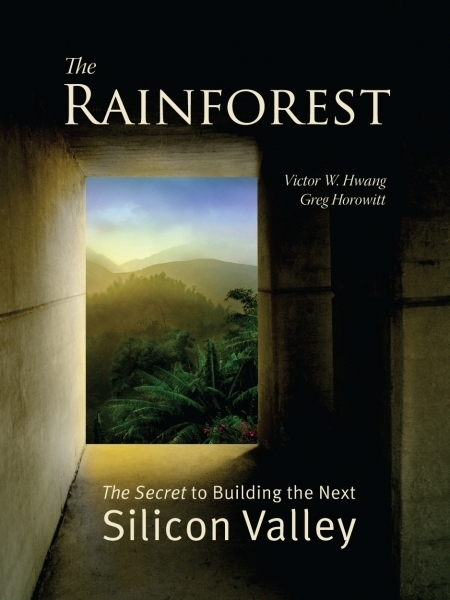 After my initial notes (part I), the importance of culture (part II), the recipe (part III) in the Rainforest by Hwang and Horowitt, here are my final notes about venture capital. It may indeed be their best chapter, even if the topic has produced probably hundreds of books and thousands of articles… Their (apparent) bias as venture capitalists is only apparent. Their description is close to what I experienced but I may be biased too! – how do you treat others in situations where mistakes and failures happen almost daily? – how to build a reputation for trust, candor and integrity when millions of dollars are at stake? – what type of value can you provide an entrepreneur who probably knows far more about the business than you do? – how do you actively listen to an entrepreneur, and then see beyond their words to the true prospects of a company? – how do you know when a CEO is not fit to run a company anymore? 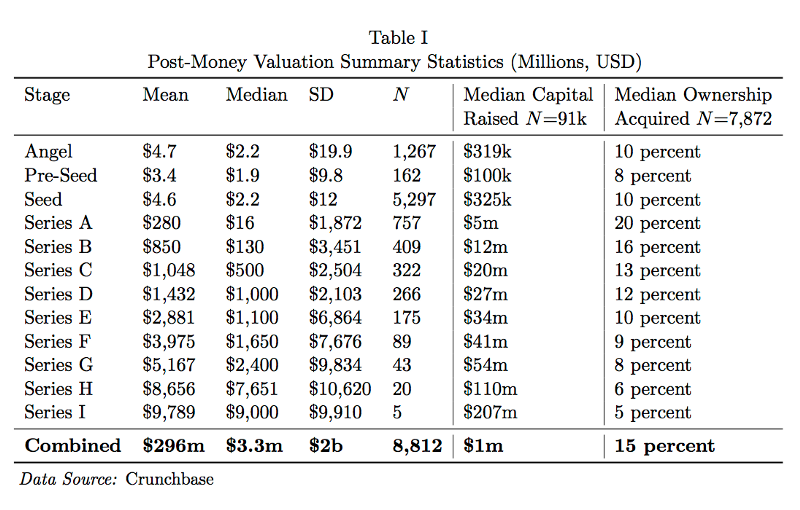 It reminds me what I learnt 20 years ago: it takes 5 years and $10M to make an investor. This entry was posted in Venture Capital and tagged Cluster, Ecosystems, Rainforest, Silicon Valley and Europe, Venture Capital on May 15, 2017 by Hervé Lebret. This entry was posted in Start-up data and tagged Equity, Founder, Venture Capital on March 21, 2017 by Hervé Lebret. What is the equity structure of Uber and Airbnb? 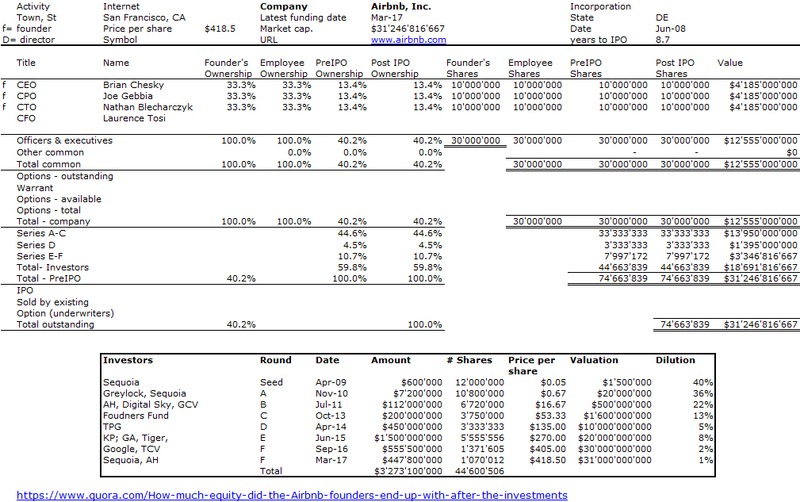 What is the equity structure of Uber and Airbnb? Unfortunately, this is a question only the shareholders in the two start-ups can know. I have nearly no clue. But over the week-end I had a quick look at how much these unicorns have raised and how this impacted the founders. If you read this blog from time to time, you probably know I do this exercise regularly. I have a databasis of more than 350 examples, and I will update it soon with 401 companies, including these two ones. Here is the result of my “quick and dirty” analysis. – finally, Uber did a stock split so the huge price per share would be divided by around 40 whereas the real number of shares is multiplied by the same amount. This entry was posted in Start-up data and tagged Equity, Founder, Venture Capital on March 13, 2017 by Hervé Lebret.